On Dec. 23, 2016 the FDA approved Spinraza for the treatment of SMA. In clinical trials to test Spinraza, participants who received treatment with the drug experienced life-changing outcomes they wouldn’t have been expected to achieve. 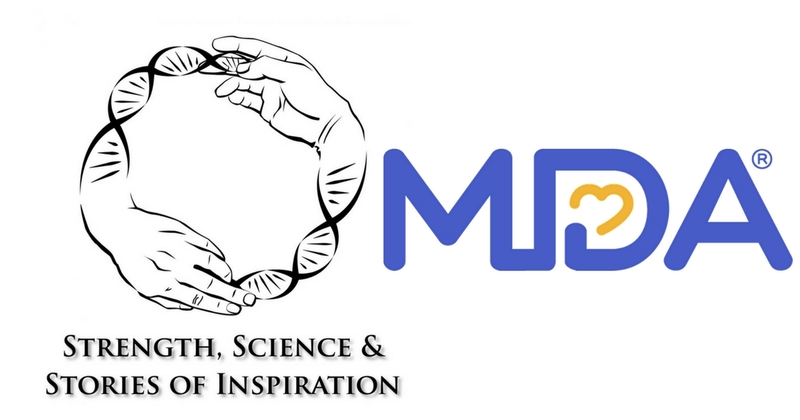 Strength, Science, and Stories of Inspiration (SSSI) and the Muscular Dystrophy Association (MDA) announced a new research funding mechanism for graduate students and postdoctoral trainees working in the muscle disease field. MDA is excited to announce that we are accepting applications for the inaugural National Community Advisory Committee, a group that will advise MDA on matters of importance to families living with neuromuscular diseases and help inform MDA’s efforts to support individuals to live unlimited. Alexion Pharmaceuticals announced it has submitted a marketing application to the FDA for the investigational drug eculizumab (brand name Soliris). The U.S. Food and Drug Administration (FDA) has approved Biogen’s nusinersen (brand name Spinraza) for the treatment of spinal muscular atrophy (SMA). MDA began 2016 with an ambitious blueprint, full of changes and improvements — all designed to help us fulfill our mission promise to free individuals and families from the harmful effects of muscular dystrophy and related life-threatening diseases. Now, we reflect on our accomplishments and give thanks to our supporters.